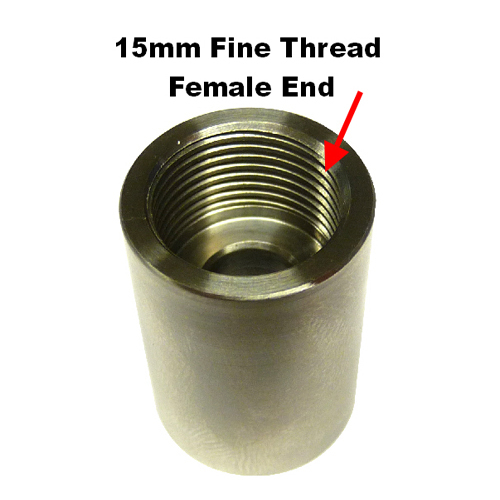 Converting a 15mm fine thread male to 3/8 inch BSP female thread has been up until now a BIG problem for bathroom owners. 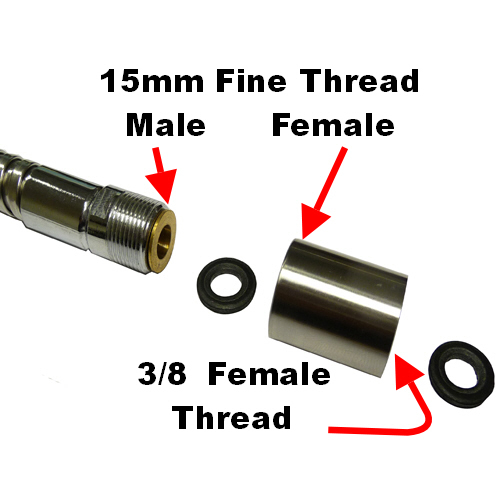 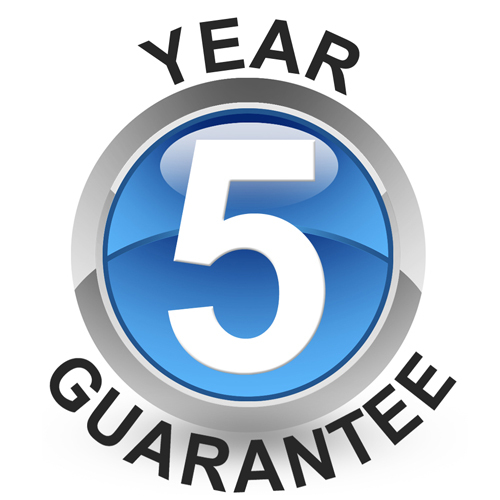 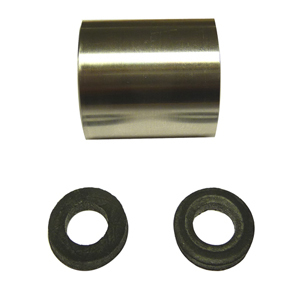 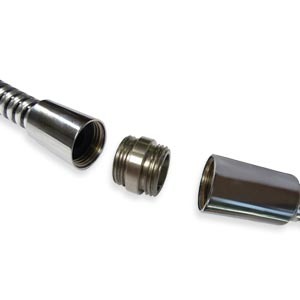 With Byretech's new 15mm fine thread to 3/8 inch BSP converter this is now possible. 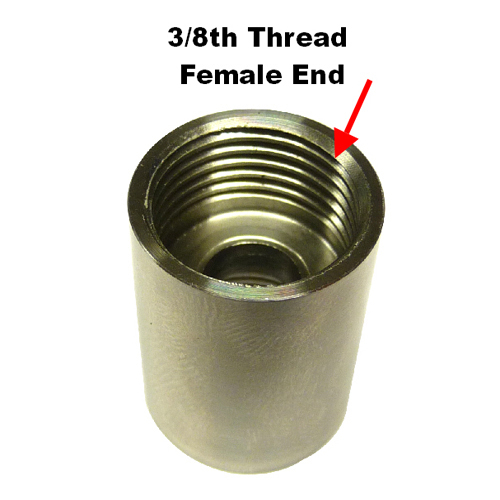 This is a female to female converter. 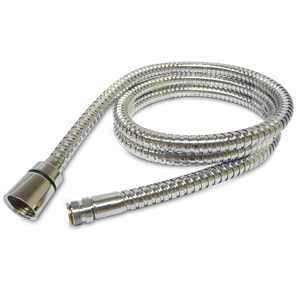 We designed this product to overcome the need to have a "Through The Bath" shower hose which has a small bore and requires connecting to the under bath plumbing / diverter. 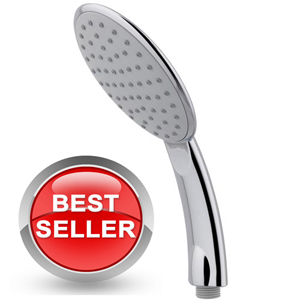 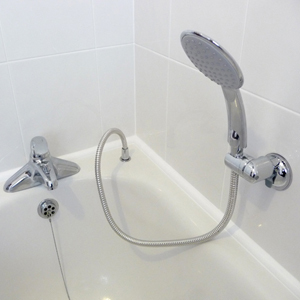 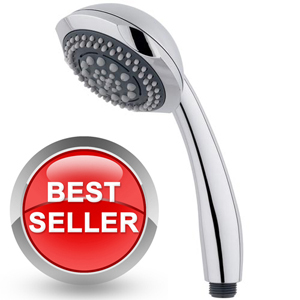 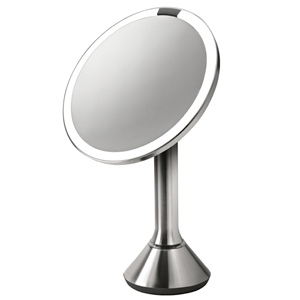 The diverter valve switches the water to the shower head rather than the taps on most spa / Jacuzzi baths. 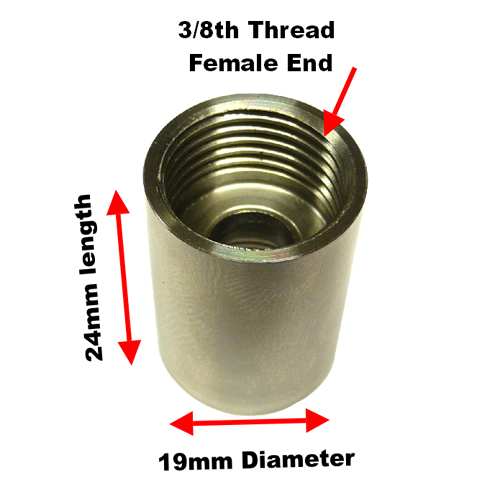 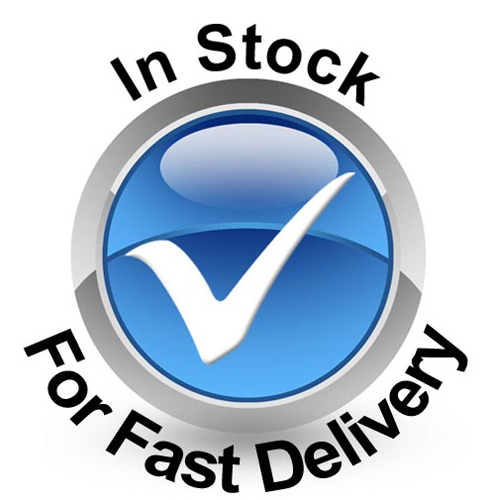 Simply attach this to our through the bath shower hose (Part No. 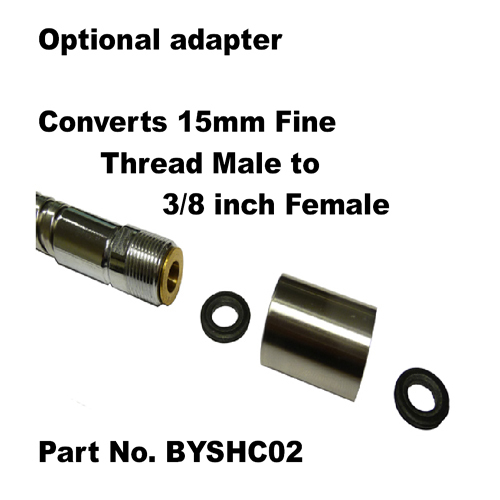 BH33 / 34) under the bath and this converter allows you to now connect to any 3/8 inch BSP male fitting.